Enthused by the successes of the massive volunteer clean-up of the polluted bay in Metro Manila, the Department of Environment and Natural Resources (DENR) in Central Visayas spearheads the simultaneous clean-up activity to kick off the river rehabilitation program in Central Visayas this month. Set this February 22, Friday, the DENR has identified ten rivers in Central Visayas as venue for the envisioned massive volunteer clean-up activity, according to DENR Regional Executive Director Gilbert Gonzales. The DENR has identified Category B classified rivers in Cebu, Bohol, Negros and Siquijor for this. Bohol Provincial Environment and Natural Resources Officer (PENRO) Charlie Fabre, during the Capitol paid radio program Kita ug Ang Gobernador Friday, explained that category B rivers are those which have been identified with a certain degree of pollution where the coliform level is below the 100 most probable number (MPN) as determined by laboratory tests. 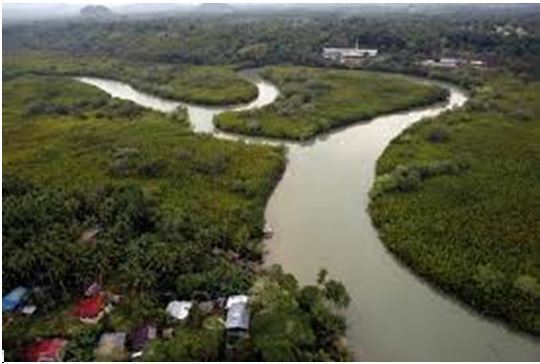 These include Bautanon River in Mandaue, Bulacao River in Bulacao and Luyang River in Luyang Carmen, in Cebu, Abatan River in Cortes, Wahig River in Inabanga and Manaba River in Garcia Hernandez in Bohol, Banica River in Valencia, Panam-angan River in Bais and Sicopong River in Santa Catalina in Negros Oriental as well as Señora River in Siqiijor. In Central Visayas the state of our rivers is not a hopeless case, [but still] let us come together and prove that we can also make it happen,” said DENR 7 Regional Executive Director Gilbert C. Gonzales. And while most river clean up events are initiated by government agencies, the DENR intends to gather as much volunteers and mobilize communities for the Visayas-wide events this time. The activity is also in line with the Presidential directive to the DENR, which the secretary Roy Cimatu also followed up with a department order to strictly enforce Republic Act 9272 or the Philippine Clean Water Act of 2004. The activity kicks off the region-wide river rehabilitation and would involve community stakeholders, national government agencies, local government units, barangay officials, the academe, people’s organizations, environmental groups and other well-meaning groups with DENR as the lead agency. In Bohol, interested groups can contact the PENRO at (038) 416-0151. While in the past clean-ups, the DENR has not been as strict, this time, Gonzales said they are discouraging volunteer participants who use single use surgical gloves, black garbage bags and other clean-up materials that turn to be additional trash after each event. The environment agency however suggest that volunteers wear appropriate personal protection: boots or shoes, gloves, hats, caps or headgear for sun protection and, tongs and used sacks as trash container.